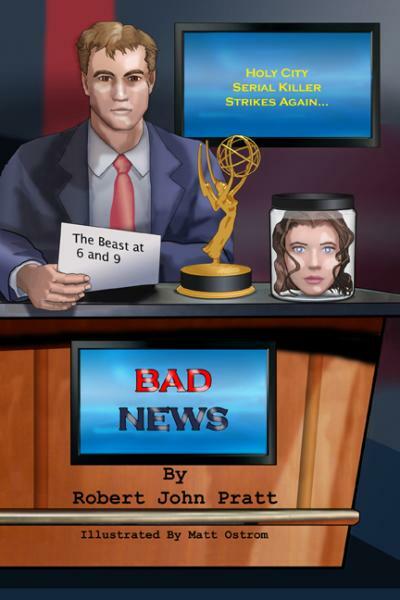 "Bad News" by Robert John Pratt, Illustration by Matt Ostrom, is a Thriller Novel about a Serial Killer News Anchorman. Awesome Book. It puts you in the front row seat of addicting Bad News.